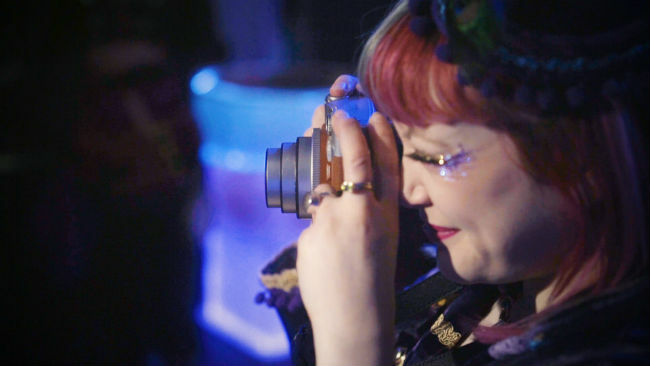 The Roaming Polaroid Team is a unique photo booth experience, with a stylish twist. 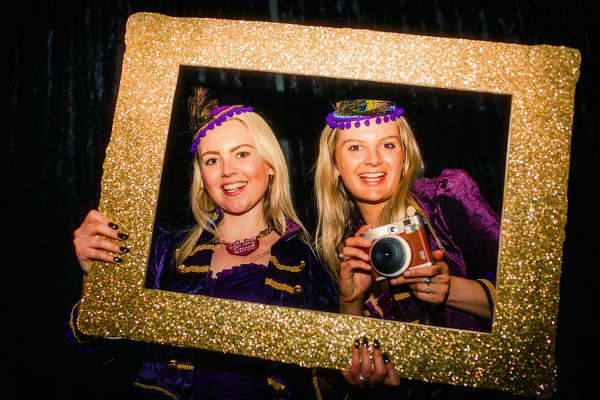 The Polaroid Team consists of 2 character hostesses who roam your event with their retro Polaroid camera and themed styling trolley, mingling with the guests and creating a party within the party. 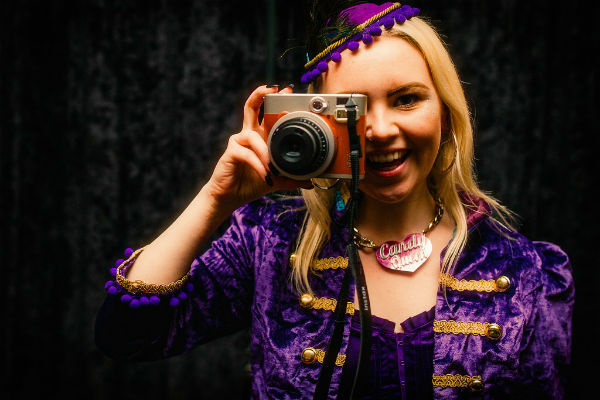 Unlike standard photo booths the Roaming Polaroid Girls have the freedom to approach guests, reaching all parts of the venue and creating an inclusive atmosphere. 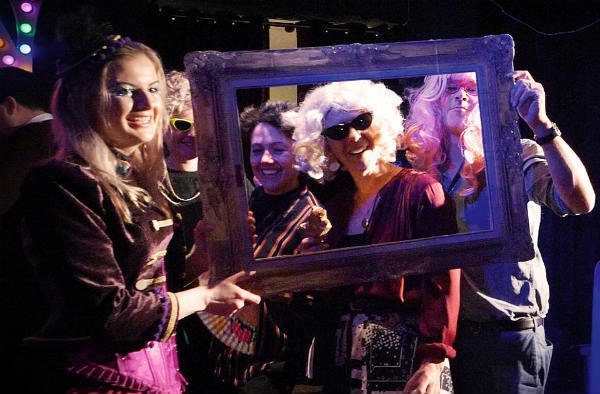 These experienced performers provide encouragement and interaction, creating moments of silliness whilst giving the VIP styling treatment using their costume and prop trolley. 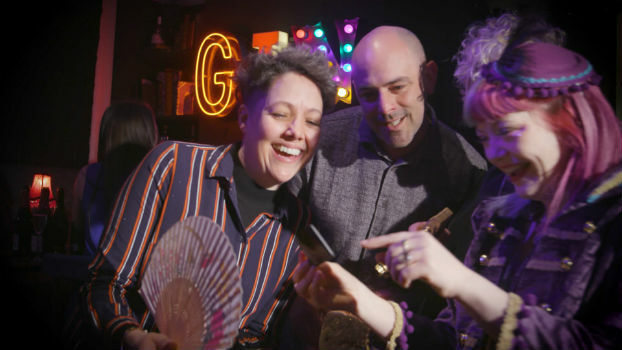 The results are an instant image, a retro-cool, wallet-sized Polaroid which your guests can give to a friend, take home as a memory of the night, swap with each other or pop their number on the back and use as an introduction card! Even the least outgoing guests will want to get involved when they see the mobile prop trolley full of disguises, alter-egos and retro props. The Roaming Team roll all the party essentials into one; entertainment, interaction, dressing up, fun stylists and instant photographs. The styling trolley can be adapted to the theme of your event – decades/Halloween/space – just enquire. Their mobile trolley is full of photo props to style your guests with, including all the usual props and some surprise extras! 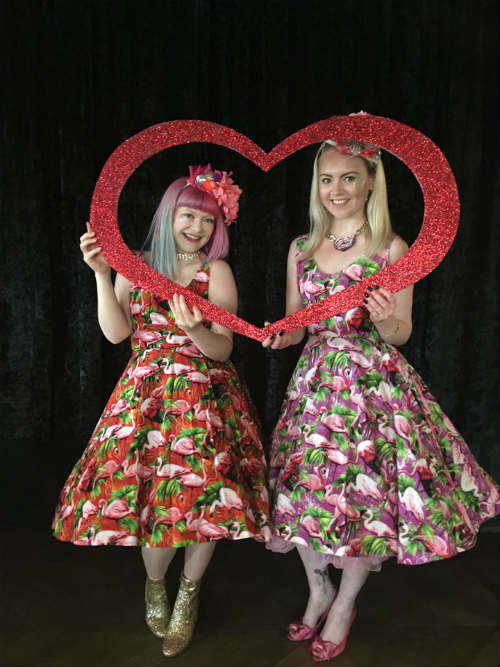 The roaming team is perfect for small or crowded events where they take up no space at all, and simply mingle with the guests.These bubbly hostesses come with gorgeous costumes and can even adapt to your theme. Standard costumes are bellboy/girl, but we also have Circus/fairground, pink cocktail dress, 1950’s full skirt dresses, black cocktail dress, black tie (black jacket, corset top and skirt), festival/sequins. Please do ask about other costume options as they have a big and varied dressing up box!